Book your stay at Bighorn – The Worlds Best Ski Chalet! Book your stay at Bighorn – the worlds best ski chalet! Bighorn – Revelstoke, BC has been awarded the prestigious industry price best Ski Chalet at the World Ski Awards four consecutive times and are for 2017 once again been nominated in this category. If you like to cast your vote in any category please follow the link hereby https://worldskiawards.com/vote/bighorn-revelstoke-2017. Bighorn at Revelstoke is a once in a life time experience with high end accommodation in a classic timber wood frame house with its own helicopter pad right outside the house. 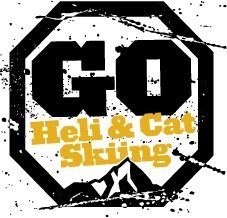 If your not into heli skiing, the private chauffeur will take you to your choice of cat skiing or just take advantage of the worlds best ski area Revelstoke Mountain Resort right outside the door. Private chauffeur & 4×4 vehicle. All drinks, including alcohol consumption.